Workshops, Job Fairs, WIB meetings, and more. Click here for the calendar. 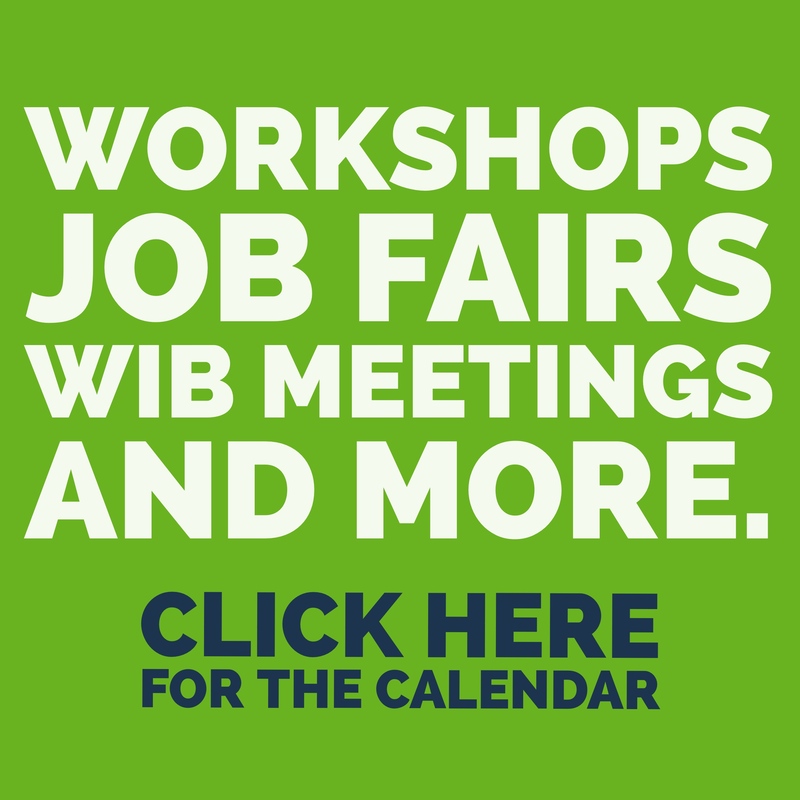 Click here to access the Job Link and WIB Calendar. Includes Workshops, Job Fairs, WIB Meetings, and more.